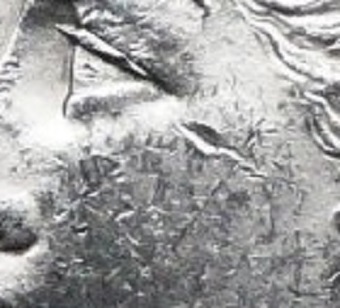 It’s an old numismatic trick that plays out even better online: Show at a slant to highlight luster an otherwise bag-marked, flawed common silver coin and claim it is gem. Bidders: Don’t be fooled by auction houses that do this (intentionally or otherwise). Auctioneers: Sooner or later, your buyers will figure this out when they receive the coins and provide feedback to Proxibid. 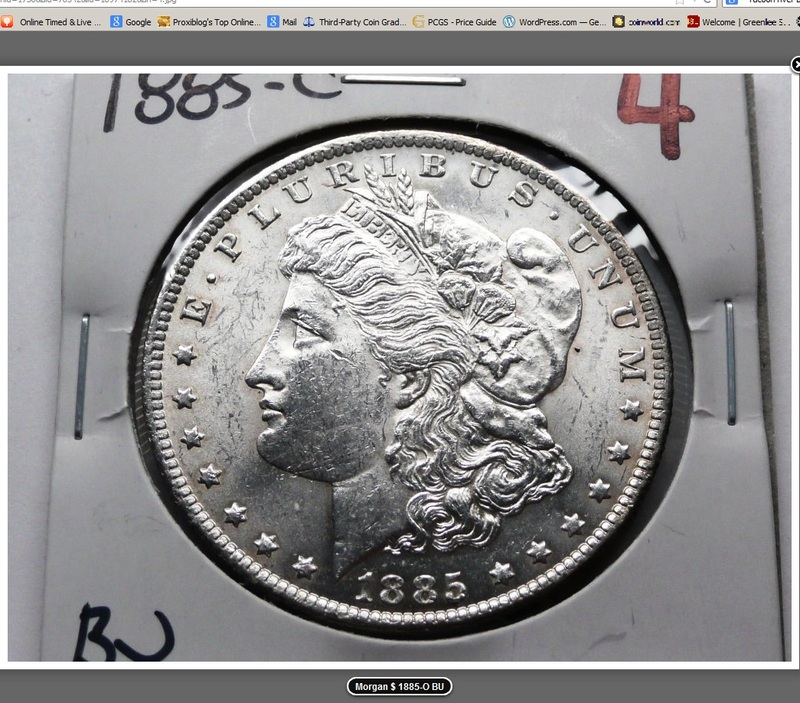 The coin depicted above is supposed to be a gem, MS65 or MS66, 1885 Morgan dollar worth the inflated range the auctioneer lists on the description-$150-$400. The lot is photographed on the slant to highlight luster, catch the bidder’s eye with that feature, and distract from flaws (and there are many bagmarks and hairlines here), making this at best an MS62 uncirculated coin worth $50. The auctioneer has inflated the grade almost 10-fold. Compare the above photographed lot with one below by Dave Weaver of Weaver Signature Coin and Currency Auction, one of our top houses for three years running. This is an MS62 Morgan. A gouge near the eye prevents it from MS63 with a shot at 64. Photographed at a slant, the gouge would disappear, concealed by reflection of luster. The point is, you can see the bagmarks and hairlines with a straight-on photo so you can bid accordingly. Anything else is suspect. We never bid on silver coins photographed at a slant. Neither should you unless you trust the auctioneer and his lot description and know what you are buying because you can decipher condition. We bid with confidence in Weaver auctions as well as our top ones in the right sidebar because they photograph well and describe condition accurately. 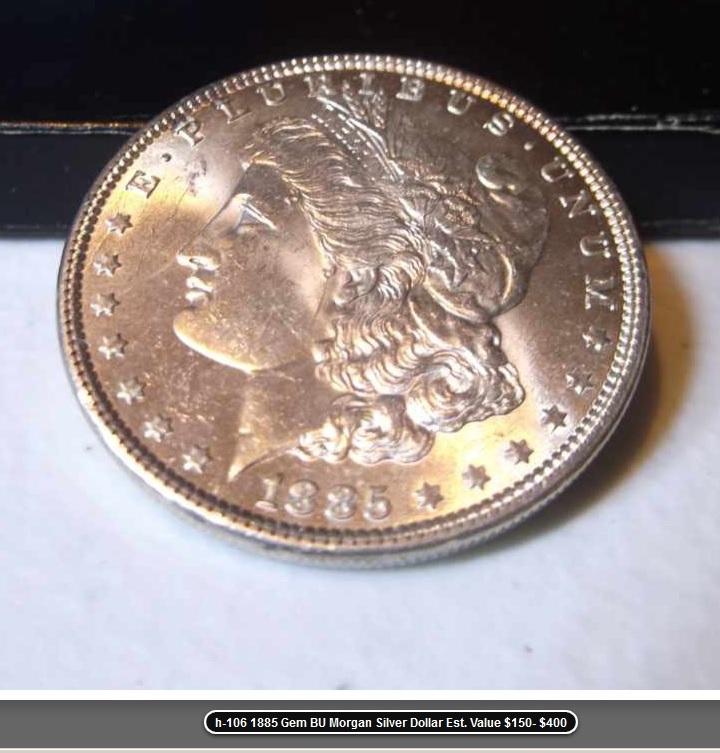 This entry was posted in Best Practices and tagged American Numismatic Association, Auctioneers, AuctionZip, Best Practices, Coin Auction, Dave Weaver, iCollector, National Auctioneer Association, Proxibid, Proxiblog, Weaver Signature Coin and Currency Auction. Bookmark the permalink.